English: Ghana cuckoo-shrike; French: Echenilleur a barbillons; German: Westlicher lappenraupenfresser; Spanish: Oruguero Occidental. 8.3 in (21 cm); 1.0-1.3 oz (29-37 g). Male has glossy black head and black bill with orange wattles on gape. Breast and flanks orange-yellow, wings greenish yellow. Female slightly duller with greenish forehead and crown. East Sierra Leone, Liberia, west Cote d'lvoire, south Ghana, one record in southeast Nigeria. Upper Guinea forest zone, in the canopy of primary or tall lowland rainforest, often near rivers, and in open swamp-forest. Also recorded in logged forest, Terminalia plantations, disturbed forest, and managed forest. Usually seen singly or in pairs, often with a mixed bird party; inconspicuous. The diet includes caterpillars, grasshoppers, mantids, and seeds. Descriptions of the nest and eggs are not available. 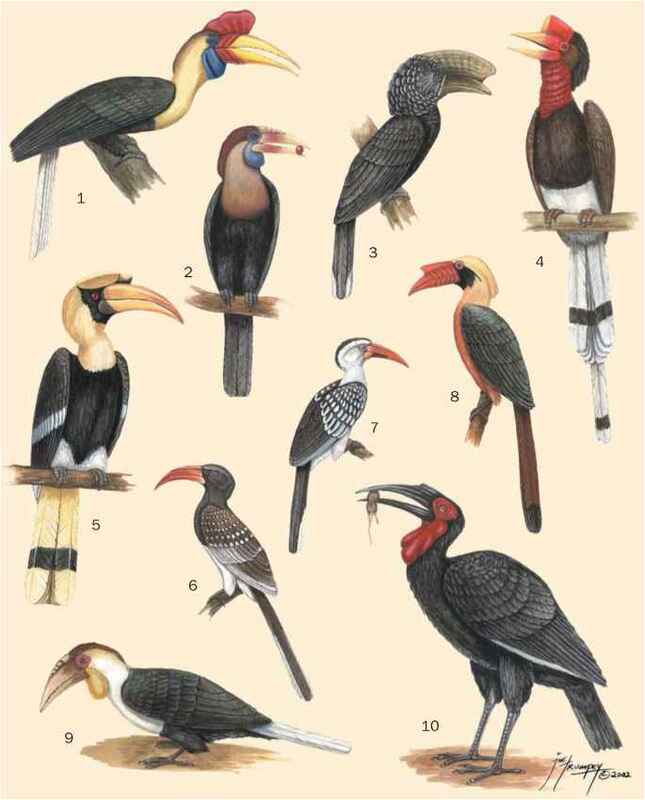 Birds from Liberia are known to be in breeding condition in February and during the months of August to November. Although it has apparently adapted to secondary habitat, this bird is seriously threatened by massive forest destruction throughout its range. It is therefore considered Vulnerable. In 2000, it was locally rare to uncommon over much of its range.